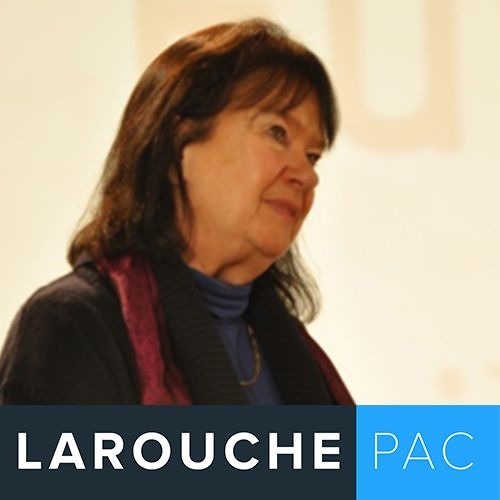 Get updates from the Schiller Institute: https://goo.gl/YAD3jm Mrs. Helga Zepp-LaRouche delivers her weekly international webcast. In an article in "Consortium News" on January 11, Ray McGovern, leader of the Veteran Intelligence Professionals for Sanity (VIPS) and a former high-level CIA intelligence analyst, wrote that it is evident to all except those blinded by their hatred for President Trump, that a "soft-coup" is underway, directed by British intelligence and its U.S. allies, to drive him out of office. The purpose of "regime change" in the U.S. is to preserve the geopolitical machinations of its coordinators, even if it means putting the world on a course toward nuclear war. The "missile alert" in Hawaii last week should be a reminder of how perilously close we are to nuclear annihilation. The Schiller Institute has been joined by leaders of the VIPS in exposing this coup, in several recent public events in New York City. In his article, McGovern points to the importance of "former" MI-6 operative Steele's fraudulent dossier in running the coup. McGovern calls on Congress to take on the "J. Edgar Hoover-style blackmail on steroids, enabled by electronic surveillance of just about everything and everyone...." As more evidence of FBI corruption is pouring out, he says that "Russiagate is becoming FBI-gate." Putting an end to the fraudulent attacks of Russiagate, which target not only Trump, but the leaders and nations of Russia and China, would open the door for full U.S. cooperation with the Belt-and-Road initiative. This would put an end to the era of confrontational imperial geopolitics, which is what China's President Xi means when he speaks of "win-win" collaboration. Mrs. Zepp LaRouche will provide a strategic update on the advance of this process, and what is necessary to achieve this desirable result on this Thursday's webcast.